We started our planning by buying the DK Eyewitness Guide to London. I love these guides because they are photographically-rich and that helps me decide what I want to see (and likely why there were so many things on our wish list for London). For the first part of the trip, we worked with our friends at Expedia who arranged our hotel stay with anÂ Expedia +VIP Access property. (By the way, +VIP Access gets you some nice little perks such as late checkout and a welcome drink). We stayed at the Mondrian London which sits on the Thames River, though you don’t know that when you first enter the lobby. It isn’t until you walk through the building to the restaurants and bar that you realize the hotel is located on the waterfront with beautiful views and with restaurants and popular sights very close by. 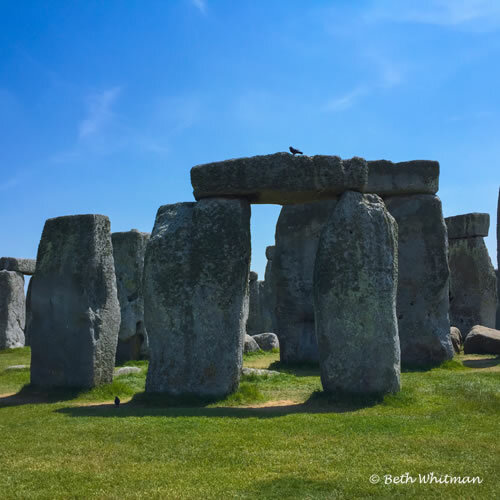 For our first day, we chose to take a day trip out to Bath and Stonehenge with Premium Tours. 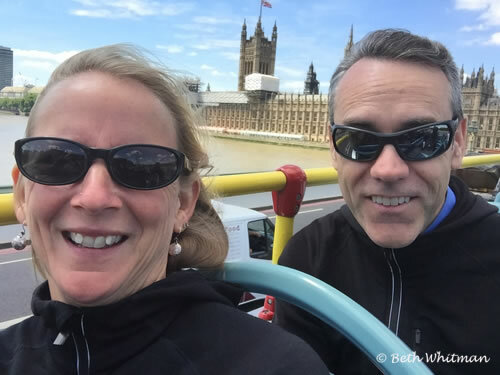 Jon and I sat in the upper portion of a double-decker bus and had amazing views of the countryside as we made our way to Stonehenge. Boy, there’s nothing like going to a place that has loomed large in your imagination for years, and then experiencing it firsthand. No, we weren’t there for sunrise or sunset and no, this wasn’t a private tour. But that didn’t take away from the magical experience we had of walking around these stones. 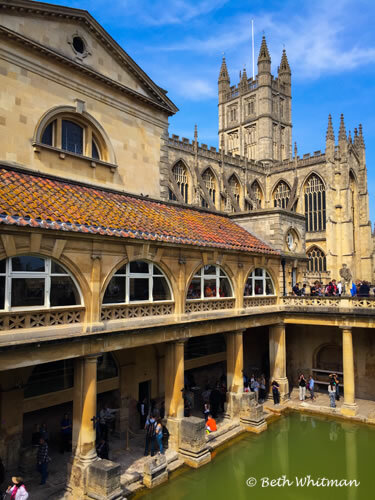 From Stonehenge, we drove onward to the village of Bath, where the preserved Roman Baths are located. Nope, we didn’t jump in. But we had plenty of time to tour both the Baths as well as the town itself (adorable!). 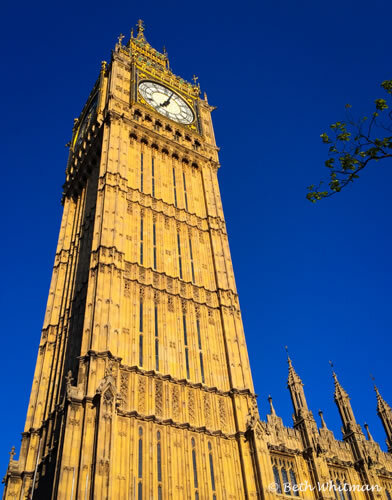 Back in London, we took the Highlights of London Walking Tour with City Wonders Limited. With an awesome (and funny) guide, we walked the city for a couple of hours and got schooled on the highlights. I love to walk a city on my own, but there were lots of little things that were pointed out to us that I would have definitely missed if I didn’t have a knowledgeable guide. 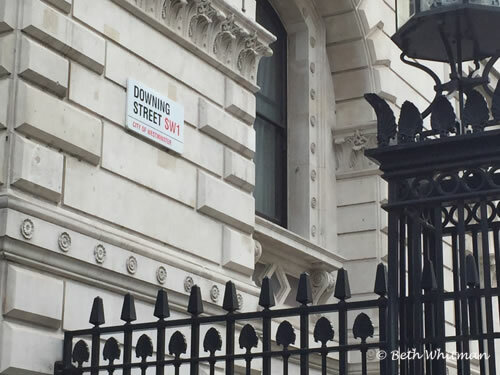 Sights like Downing Street, which sits pretty unceremoniously off a busy street. In other words, this was nothing like 1600 Pennsylvania Avenue. At the end of the tour, we had English tea at St. Ermin’s Hotel. 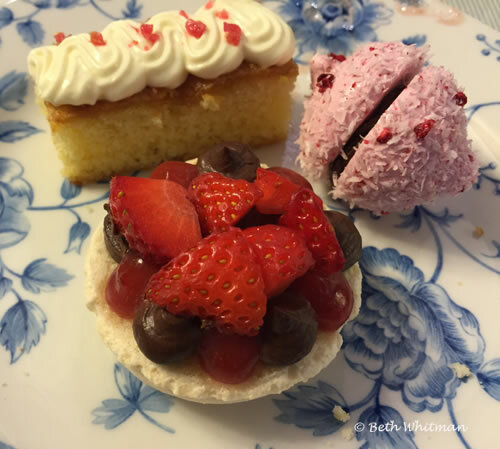 It was the highlight of the tour, for sure, but not just because of the treats and delicious tea. It was a chance for us to sit down with our guide and ask all sorts of questions about London and what it’s like to live in the city. Because it was a walking tour and because we had another excellent guide, we got to learn a lot more about the city and visit areas that weren’t included on the Highlights tour. 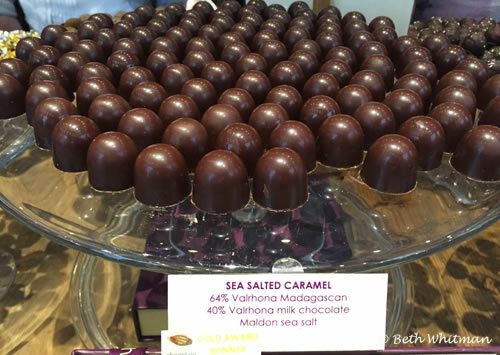 We stopped at famed department store Fortnum & Mason and walked through a number of arcades (mini malls with specialty shops–including more chocolate). Later in the week, we took the Hop-on Hop-off bus with City Sightseeing. 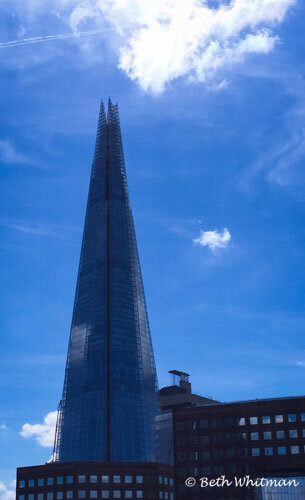 Buses stopped at specific locations every 10 – 20 minutes so we were able to jump on, go visit a sight (such as The Shard, above, or Harrods) and then get back on to continue out guided sightseeing tour. I’ve become hooked on hop-on hop-off buses and if there’s one thing you do in London, do this. The bus travels around the city enough that it gives you a great overview and you’re able to see a lot of sights if you choose to jump off at the many stops. On a nice day, sit on the upper deck! So…we saw a lot. Ate a lot. Walked a lot. But I left London feeling like I could return in a heartbeat and spend another eight (or 16!) days there. Want to stay up-to-date on all things Wanderlust? Follow me on Facebook, Twitter or RSS/email.